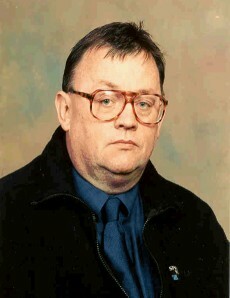 Councillor Terry Kelly: SNP/SEPARATIST/CYBERNAT. DEFENDS THE CENSORING GLASGOW HERALD. SNP/SEPARATIST/CYBERNAT. DEFENDS THE CENSORING GLASGOW HERALD. Mr. Dickson of the snp/separatist/cybernat tendency has quite predictably waded in to the argument between me and the Herald. He volunteered the information that I was blocked because of my bad language and bad attitude to other posters. I don't know how he would know that but he is an snp fantasist and he is now bombarding me with lengthy comments on my Blog despite saying he did not read the thing, and so it goes. Here is an example of one of his posts which of course was printed and my reply which was of course not printed. I have asked him if he could have a go at explaining why, I've urged him not to just claim it's nothing to do with him, I said to him "I want your opinion as to what it was in the language or anything else which caused it to be blocked?" since he himself claimed that that was the reason. The Herald article was headed "Indy Scotland 'would need to guarantee savings" 'Sunday 26 May 2013. His post which was printed was as follows. "An independent Scotland will need to be able to guarantee that umbrellas will still be available for purchase in the event of it raining. We have the right to know this stuff"
And my reply to his post which was not printed was as follows. "Shock news, snp/separatist/cybernat concedes that Scotland would still get rain even if separation happens. This is serious, what else will he admit to, beer will not be free after all? No cigarette trees? no soda water fountains? This is quite amusing Robert but; not nearly as funny as when you try to be serious". I don't think I'll be back Terry.....yer quite a sad wee man. My wife has stepped in and reckons you are not worth the effort. I now agree and I tend not to argue with a human being so sanguine. I wish you a long life and peace. It looks like your comments are being moderated prior to publication because the cybernats have reported your comments as abusive. Its a common tactic they use when someone produces facts or asks uncomfortable questions of the SNP and/or Independence. You only have to look at the treatment given to Chris Hoy who voiced genuine concern about his sport. Some of the SNP cybernats are vile and nasty bullies, but run a mile if you stand up to them. Kelly, let me give you the Reasonable Man's take on the Herald's position regarding non publication of your posts.....They're boring. Let's have no more of your increasingly turgid rants....get back to being the Attack Chihuahua that we're used to. I was extremely confident this would happen; I've dealt with so many versions of people like you before. It finally gets through to you that I am not going away, I don’t scare easily and I am happy to trade insults with you any time, and that; as I have come to know means that you will eventually run away which you are now doing yet again. Are you really going to stay away or is it just another lie? You haven’t commented on the blocked post which I put on because you can’t, that’s because you have been lying about this matter from the start. I agree, you certainly can't describe them as smart. Well you've had your chance to prove yourself something other than what you are Terry. Censoring posts just as you claim is being done to you? I sent you over a 140 hyperlinks of the posts you claimed you never made. What happened.....did you lose them? I will kick you around at the Herald for the sport, but since you cant be taken seriously I will NOT...emphatically NOT be back to your pathetic hidey hole blog. What has happened to your entry for the longest post competition? I wrote in reply and asked the moderators if they would print some of the comments you had sent to me if I posted them and your long post with your enormous list of accusations suddenly vanished. Did the moderators sober up and sack the one who printed it or did you in a rare moment of clarity realize the horror and embarrassment of what you had written remove it yourself? It's just not working out for you is it? this is what happens when you take on someone who regards you as a chancer and a " boy who frightens weaker boys"
There is certainly a meltdoon happening here anonymous but, I can assure you I am feeling fine, check out the Herald posts and you will see that they have decided to back away from Mr. Dickson, can you blame them? YOUNG SCOTS. REFUSE TO BUY THE SALMOND SNAKE OIL.